Mark A. Touby is a board certified workers' compensation attorney practicing at Touby, Chait & Sicking P.L. 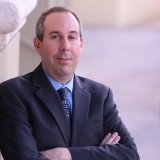 With over twenty years practicing law, Mark specializes in worker's compensation litigation. After graduating from the University of Miami with his JD in law, he immediately began practicing injury law within his own law office. He has always had a passion for practicing law, and has always found fulfillment in defending clients suffering from work related injuries. Mark is heavily involved in changing the landscape of worker's compensation and is a member of several different organizations that support that. He is the Vice President for Scholarship Fundraising with the Friends of 440 Scholarship. The scholarship raises funds for children of parents injured at work, to attend college. Mark is also a member of the Florida Workers Advocates, promoting fair and just treatment of people suffering from work related injuries. His passion is to further promote awareness to workers rights, and is constantly looking to reshape, and promote positive change. Mark's persistence to do what is right by the workers drives his continued success within his profession.